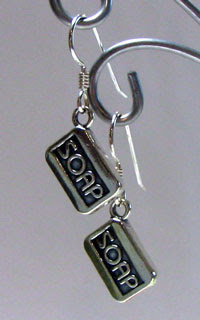 My sister at Torchsong studio ( http://www.torchsongstudio.com/) - Blogger is acting up, so I'm having trouble with links... has a gorgeous selection of lampworked beads and sculptural pieces, but as a bit of sideline also has some beautiful jewelry in glass and sterling silver just for folks who dabble with lye and wax. I've seen some of the sterling elsewhere, but her prices are way more reasonable. Check it out! This article has been requested several times recently. As little children we learn to pull the petals from daisies to learn if “he loves me, he loves me not”. Twisting an apple stem while reciting the alphabet tells the first letter of the future spouse’s name. On and on – so many ways to learn of that one true love. And lets not forget that this is a leap year. According to tradition, women proposing to their chosen mates are not considered to be unduly forward during this window of time. In Scotland, tradition held that a red flannel petticoat was to be worn visibly beneath the dress during the proposal, lest the intended felt inclined to reject the proposal… Without the petticoat, rejection was permissible. As Valentine’s Day draws near many will be wishing to learn of their lover, draw someone back to them, or feel more secure in the relationship they already have. In a sense, all potions, charms, and spells are a means of visualization, helping a person to focus on that which they truly desire. Personally, I find that the best way to find true love is to give up completely, decide it would be a pain in the…uh…neck, and avoid it at all costs. It will then undoubtedly sneak up and take me by surprise. 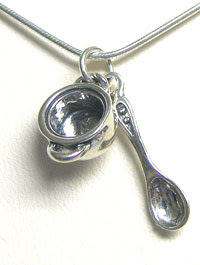 Talismans are often made to bring love. An easy way to remember the talisman/amulet quandary is that talisman starts with a “t” as does toward. 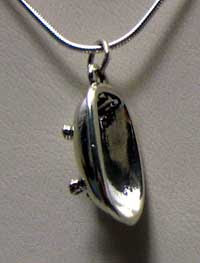 Amulet starts with an “a”, as does away, thus amulets keep things away. A very simple love talisman is made by stringing rosehips into a necklace and wearing it about the neck. A more precise talisman might go something like this: start with a square of cloth, red for love. After considering what characteristics would be desired, find herbs (and other objects) that will represent and correspond to those traits. Someone down to earth? Add a pinch of patchouli. Spicy lover? Cayenne pepper. You get the idea. Traditionally, it would seem that rose petals are an absolute must-have. 2 c water, 2 c sugar1 T either rose water or orange blossom water. Blend ingredients and allow to rest for a few days so that the scents mingle. Put into a bottle that is pretty – but usable. A top that allows only a few drops to come out at a time is very helpful. Remember to always pour the oil into your hand to warm it, rather than dropping it right onto the skin you are about to massage.These ideas should get you started. Have a wonderful time! 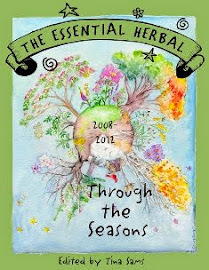 Tina Sams is the editor of The Essential Herbal magazine. You can find out more about the magazine and how to subscribe at: www.EssentialHerbal.com This article was first published in the Jan/Feb 2004 issue of the magazine. 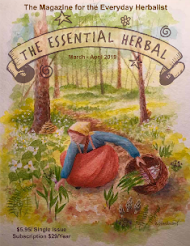 The Mar/Apr '08 issue of The Essential Herbal is finally "put to bed" and safely at the printer. It has a specific theme and that theme led me to do some research into Victory Gardens of the 40's. Now whether you see the concept of the Victory Garden as propaganda or a uniting force is probably an individual thing. I personally see it as a little of both. At the same time, I really miss the country that could inspire that kind of spirit. I miss that kind of passion and determination, and wish that we were more motivated to have some role in our own interest. Victory gardens were responsible for 40% of the vegetables consumed domestically during that time. The Dept. of Agriculture was responsible for the campaign, and it worked. Every bit of yard and every strip of grass was used by some. Public green spaces were converted to gardens. I think the time is here for another round. We have seeds that produce barren fruit from planned sterility. We have gigantic agri-businesses that spread e coli a few times a year. We have chemical laden produce that cannot be washed well enough to be clear of the poisons. And we have prices so high that people are having trouble putting food on the table. It is time. It is also time to start learning about the wild edible foods that grow outside everyone's door. Even on the rooftop of a 40 floor apartment building in Manhattan, I found several varieties of edible "weeds". Many of these weeds were brought here by our ancestors, who carried the precious seed across the ocean on ships. They were considered to be delicious vegetables. Over the years, we've come to see them as just weeds. People can and do starve to death, lost in the wilderness, while lying upon FOOD. They just don't know the plants that could sustain them. 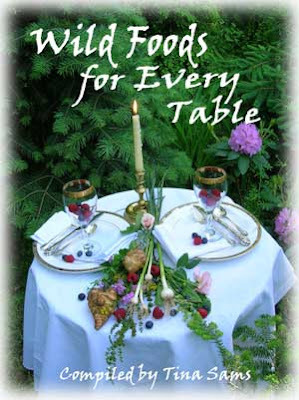 Many wonderful recipes can be found in the book Wild Foods for Every Table, on our website. Most people will walk past 5 to 10 edible plants on a given spring day. Wild edible plants are not the tough, bitter things that we expect if we've been raised on processed foods. No! They are tender, tasty, and nutritious vegetables. Some of them are so delicious that people look forward to them all year long. There are even some that have reached nouvelle cuisine status - the fern fiddlehead, the morel mushrooms, and Jerusalem artichoke can sometimes be found in the upscale produce sections. Personally, I'd rather eat steamed nettles and lamb's quarters than many of the more well known greens that are considered domesticated. And more important than ever before, THIS FOOD IS FREE! I know my vegetable garden will be bigger this year. We've already talked about getting a pressure canner to learn, even though there is plenty of freezer space available between the houses here on the hill. I'm still enjoying last year's peaches. The herb garden will grow as well. There are so many benefits from the herbs - medicines, teas, distillation, body care, soap ingredients, and then just the pleasurable pursuits, like wreaths, baskets, potpourri, and bath tea. Don't you have a couple of feet of dirt that you can plant in this year? Who said, "time is a river?" .... because the river seems to have dammed up around here. I am always in a state of awe at the way time flies away. Let's face it... I should have long stretches of hours and days... even weeks (!!!) with nothing more annoying than the occasional deadline. Really! From the outside looking in, I'm certain that's how it would look. Many times I find myself frustrated by this seeming mystery of where time goes. It was here a minute ago... well, at least this morning. I KNOW it was here this morning. Today was a perfect example. The magazine deadline was Tuesday, and Maryanne's been putting it together with occasional input from me while I accept changes, nudge for last minute additions, and work on my part of things. In the meantime, today is Molly's birthday. That had to addressed and prepared for. There's the brother who needs some care, and today there was also the addition of Molly's father, and fitting around his schedule. In between there was some practice driving, some errands, and several things that didn't get done yet. In another half hour, The Birthday Girl needs a ride to the movies with her friends. After that, dinner needs to be thrown together. The day is already gone, and I didn't even get started yet! Tomorrow doesn't look much better. But hope springs eternal. But at least I did get to walk around outside a little bit. Just for a few moments. Molly got a new camera for her birthday, and I got to play with that. The snow from Wednesday is still here and there, so I was surprised to find blooming chickweed and a couple of dandelions. There were also lovely buds on the lilac tree. They probably won't make it to spring, but will be replaced with other growth in a couple of months. While Molly chattered with her father, I sat at the table separating the petals from the roses that arrived on my birthday last week. My friend Laura surprised me with them, and since they started to wilt yesterday, it seemed like they would do well to become a potpourri - maybe with some of the lavender and sage and lemon verbena that will come from the garden this spring. So... if it is like this in January, I'm not sure what May holds in store. Last year we had the dreaded Farm Show to recuperate from, and blamed the doldrums on that. I've got nothing this year... I'll have to blame myself, and my inability to make schedules and stick to them. Hey! Wait a minute! Maybe I need to start working on that. 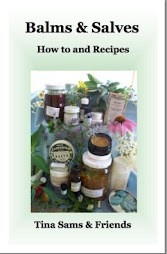 Download a free copy of The Essential Herbal! Our Mar/Apr '07 issue sold out quickly last year. There are no more of the printed copies to be had, but that's a good thing if you happen to be one of those people who haven't gotten a chance to see the magazine yet. You can download a PDF of that issue! and it will open right up. 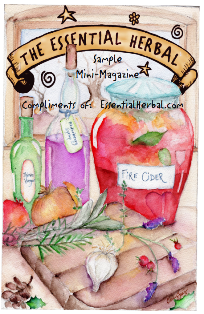 Of course, The Essential Herbal is really a printed magazine that comes to subscriber's doors 6 times a year. We aren't normally available on-line as downloads. This is just a one-time thing. About half of our back issues are sold out, so we have something exciting up our sleeve that you'll hear about in 2 or 3 months. Until then, mum's the word. The following came in an email forward, and I thought it was something to be shared (after cutting all the crippy crap that comes in a forward). Remember the '3' steps, STR . There have been a couple of very spring-like days here. Grabbing this little blink in January, it was such a nice break to throw open the windows and get some fresh air inside the house. It was also impossible to stay out of the woods. Bob cleared a wonderful path through the woods beside the creek last spring, and it made it easy to walk along without getting caught in brambles, vines and fallen timber. The strangest thing happens when I walk outside at this time of year. At first, everything appears to be brown and dead. Leaves of the oaks, black walnuts, and poplars, cover the forest floor, and my eyes don't pick up any other colors besides the tawny tan, beige, taupe, and moss that line the world. You would think that greens and reds would jump out, but that isn't really the case. They blend in. It takes a while to adjust to the palette and start seeing beyond the cast off leaves. First to become visible are the maroon heart-shaped leaves that drifted down from an ornamental birch in the yard. They are leathery and shiny. Maybe the shine makes them more easily seen. Next would be the stands of garlic mustard. Nothing seems to conquer that, as it pushes up through the leaf covering. The hips on the wild roses are gone, but the stems are vibrant green. I'd passed the barberries without even noticing them, even though their bright red berries reaching out across the water now look ridiculously bright. The deer must not have figured out how to get out to them yet. Surely the birds will find them soon. Eventually, I started to notice that there was a substantial matting of chickweed beneath my feet as I got closer to the creek bed. Ferns waved, and every so often violet leaves made themselves known. Every so often, pieces of ice clung to leaves where they'd been shoved against a dam in the water. The air temperature was high, so it was seemed weird to see ice. I miss the woods in the winter, and don't get down there often enough. Spring time means all kinds of plants that need to be harvested, eaten and preserved in some fashion, but winter requires that I do it just for myself, with no utilitarian reason. Maybe just getting out and listening to the babble of the brook and the crunching under my feet should be enough. If you've been reading along, you may have guessed that the last couple of months have given me some emotional bumps and bruises. We've been caring for, worrying about and moving a family member, while still running the business(es), raising the kid, getting through the holidays, and all of the other everyday hurdles. It's been difficult, and even though I am generally pretty hard to keep down, it got to me. 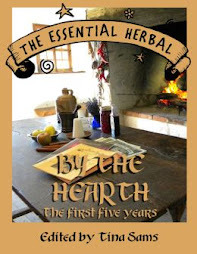 In the autumn, there was a discussion of Holy Basil on the Essential Herbal Yahoo! list. Mostly, we talked about the reported effects it may have on cortisol production, stress, weight, and such. That was enough to send me out to the garden to harvest my beautiful plant. Into a series of mason jars went the leaves. They were covered with a high alcohol content vodka, where they stayed until a couple of weeks ago. In the photo, there are a couple of mason jars still "working", and a dropper bottle that I'm using now. There are also oils, vinegars and other tinctures working away there. Doing some research on Holy Basil (Ocimum sanctum), also known as Tulsi,which translates to "incomparable one", this herb looks to be another one of those miracle herbs that shows up from time to time. *Some* of the reported benefits include: reduces stress, supports general health and vitality, adaptogenic, decreases cortisol production, lowers blood sugar and cholesterol in non-insulin dependant type 2 diabetes patients, supports immune function, improves cognitive function, excellent anti-oxident properties, protects the liver, detoxifying, anti-inflammatory, and increases lung function in cases of asthma and allergies. Here's my report. The stress level I was experiencing was pretty high. Probably one of the top 5 instances I can recall. I decanted some of the tincture, and was immediately thrilled with the color. It is a rich, emerald green. The scent is gorgeous, and it tastes delicious. I took about 20-25 drops in a little water at around 10 am. By 2 that afternoon, I could feel a shift, and the black clouds cleared out. By the next day, I really couldn't figure out what was so bad before. The change was startlingly abrupt, but more welcome than I can say. I can't say anything about the other reported benefits, and who knows... maybe the shift would have come about on its own. However, that is one tincture I am very pleased to have put together last fall, and will be sure to have it on hand from now on. Originally, I put the plant in to make herbal beads with. The scent is so beautiful. Now I can see that there will need to be more than one plant in the garden next year. Michele at Possum Creek Herb Farm is making sure there will be plants available, so if you're looking for a source, give Michele a holler! If you know of another source, please feel free to list it in the comments section. Susanna?